Some very good reasons to gift your business partners! 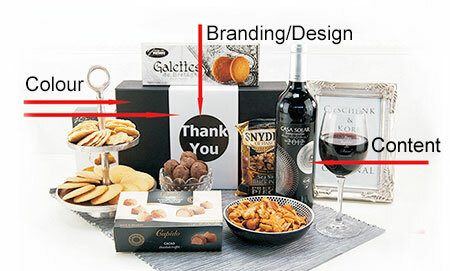 When you are looking for high quality gift boxes and gift baskets for your business needs you have come to the right place. Wether you are in need for a corporate gift for the holidays or a closing deal gift our gifts and gift baskets are perfect for any business purpose. 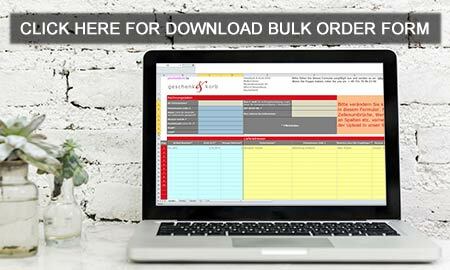 Klick on the picture for bulk order form download (exel). , France Austria and Poland, Czech Republic, the Netherlands and Belgium. Companies ordering from other EU countries than Germany holding a valid VAT number can be excluded from VAT. 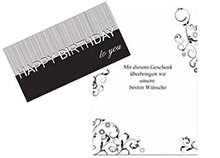 no extra costs when all cards are exactly the same, or 1,20 Euro incl. VAT per card if names are provided on cards. We offer corporate gift baskets for delivery in the EU and to Switzerland. You'll find a great range of of beautiful gift baskets that fit for your corporate needs. Please do not hesitate to contact us for any questions. More than 10 gift recipients? We send corporate gifts to Europe since 2002, located in Germany we have fastest access to all EU countries and Switzerland. We also provide low shipping costs. Our corporate gifts are high quality food gifts with wine, champagne, chocolate, snacks and gourmet food from Europe and around the world. We make sure your gift baskets, hampers and gift boxes arrive in perfect condition! The gifts and gift baskets you find on our website are created by us, we design them with love, make them with care and we provide delivery across the European Union and Switzerland. Smaller orders will be shipped the same or the next day. Please make sure orders with more than 50 gift baskets are ordered earlier, depending on the volume. If you have questions please contact our sales team. Shipping times and costs can be checked in the product details. Why order with Gift Baskets Europe? We belong to the leading gift basket companies in Europe. Est. in 2002 we have over 10 years of experience with corporate gifting. Unique gift boxes and gift baskets, you won't find them anywhere else. We offer high quality products combined with exclusive designs. More than 150 standard gifts and gift baskets serve most of your needs. Our returning customers are the best proof for our work. We can offer ribbon printing, personalize sleeves on gift boxes and can also choose from various gift boxes. 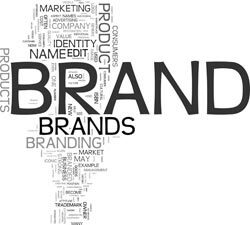 Be aware that most brandings do need extra handling time. Once your order is shipped you can track all your parcels. You will get your login with your order confirmation. , there you will find our new Christmas hampers for corporate clients, as well as exclusive gift baskets for Christmas when someone needs a special treatment. Of course, we also supply private customers. Make sure you order in time. You can order early and provide us with your desired delivery date, you are given this option when we ask for the delivery adress. We will make sure to ship your present in time. This way you make a reservation on the Christmas gift you want as some of our gifts will be sold out the closer to Christmas time comes. Sending Christmas Gifts to corporations you have to consider that they might be closed for the Holidays, often days before Christmas. Shipping them in time is mandatory. We do have lots of corporate clients who send their gifts for the New Year instead of Christmas. For a couple of reasons we think this is a very good idea. First, your gifts won't arrive with all the other Christmas Gifts, second, some are not celebrating Christmas, third, your clients are probably on long vacations during Christmas which is not unusual for Europeans.